The reason why we need a shade sail is to protect ourselves from the cancer causing harsh ultra violet radiation of the Australian Sun. 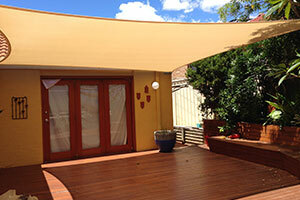 Brilliant Shade Sails offers custom made shade sails in colours of your choice. The UV protection varies from 90 to 97% depending on the fabric and the colour of your shade sail fabric. The design will be an aesthetically pleasing shade sail that will blend with the environment. 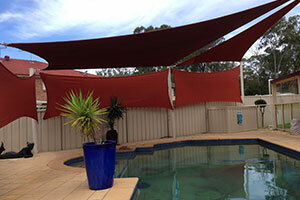 Shade sails are made in our own factory at Ingleburn. We make the shade sails ourselves and are therefore cheaper than many others market competitors. Retractable Awnings, folding arm awnings, drop down blinds are some of the other products that we offer. 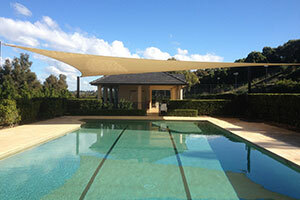 In fact we can even design and install a shade sail within a very short period of time. 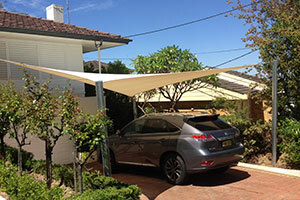 Shade sails and Awnings need regular cleaning as mould sets in on the underside. We can come to you and clean your shade sails or awnings. Ingleburn, Glenfield, Harrington Park, Mount Annan, Campbelltown area, Castle Hill, Baulkham Hills, Rouse Hill, Carlingford, Kellyville, Hornsby, Chatswood, Brookvale, Clontarf, Metropolitan Sydney, Sutherland Shire area all covered by us. We have provided high quality shade sails and structures for Child care centres, pre-schools, schools, car ports, back yard sails, shade sails to cover the deck, swimming pools, BBQ area, shade sails for Animal Hospitals, shade sails for fisheries and Universities. 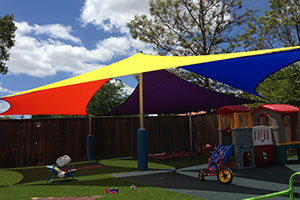 We are also the preferred Vendors for Some Local Councils providing shade sails for their community centres and childcare centres. The owner himself is a qualified and licensed Shade Sail Technician. He understands the customer’s needs and delivers a very high quality shade sail. Our workmanship is of a very high standard. Because we make the shade sails ourselves and install the sails by ourselves, customers get fantastic prices for their desired covers and shades in wast variety of colours, sizes and shapes. 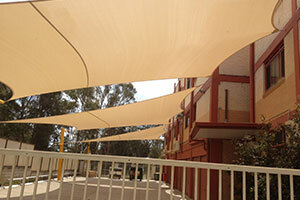 Our commercial and residential sun cover sail shades and awnings are highly appreciated for absolute customer satisfaction as well as durable and exotic beauty enhancements.